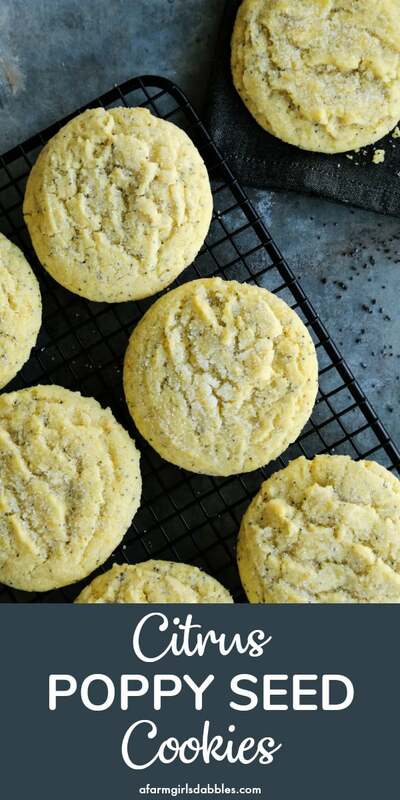 Substantially sized bakery-style Citrus-Poppy Seed Cookies are delightfully tender and bright with lemon and orange. Poppy seeds and corn meal add wonderful flavor and texture. 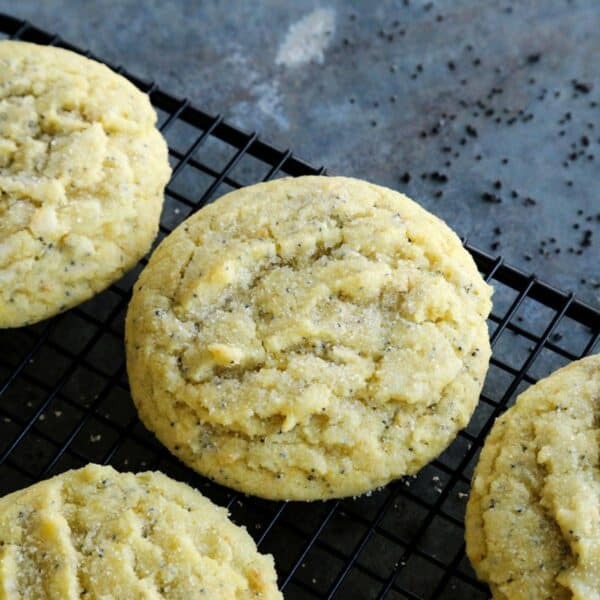 I am extra excited to share this recipe for Citrus-Poppy Seed Cookies with you today, mostly because we’ve been having such disappointing un-springlike weather around here. We’re now into the second week of April, looking at a fresh blanket of snow outside our windows here in Minnesota. We should be prepping our gardens, visiting greenhouses, playing in the yard. This is just not right. 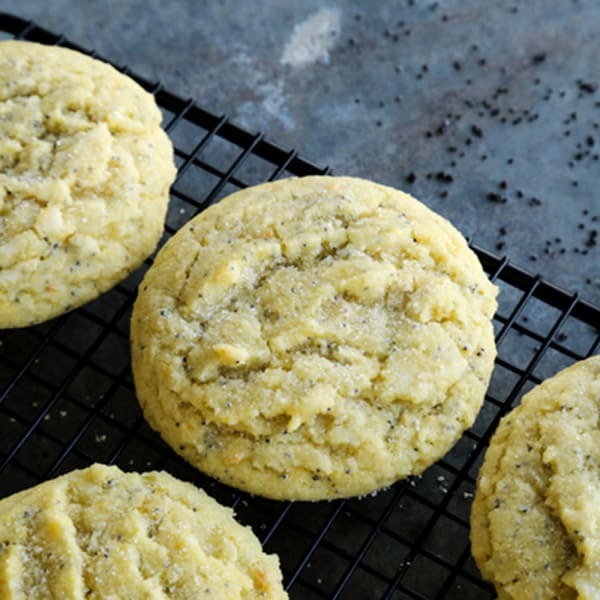 But these Citrus-Poppy Seed Cookies have come to redeem all that is wrong about our springtime scene. The cookies are bright and sunny and just so wonderful in every way. I can’t wait to hear how you like them! 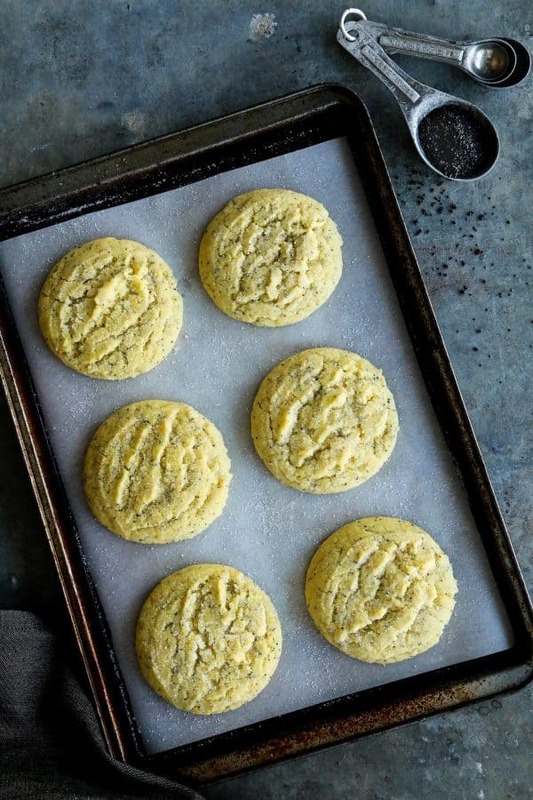 The recipe for these citrus-poppy seed cookies comes from The Minimalist Kitchen book by my friend Melissa of The Faux Martha, also why I’m so excited to share this with you! This book will be released tomorrow – scroll down toward the end of this post for GIVEAWAY details on how you can win a copy! Melissa moved to the Twin Cities a few years ago, and it has been a complete joy to get to know her and her family in person. 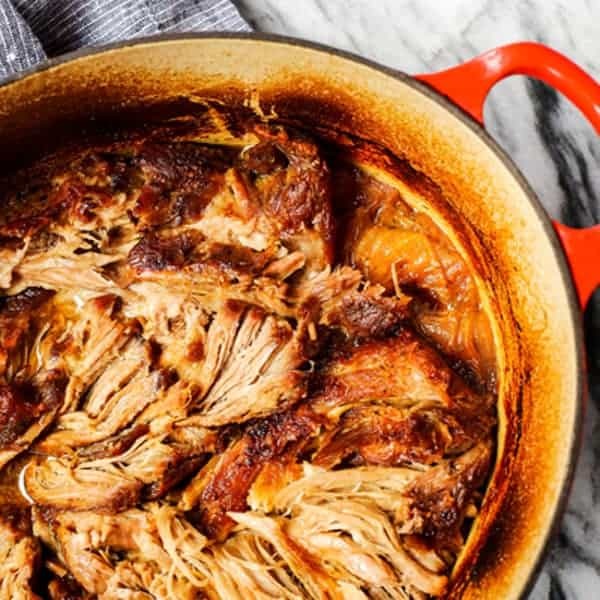 If you follow Melissa on her blog and on Instagram, then you also know that she is more than just great recipes. Melissa is a designer of many sorts, with a keen eye for detail. All while sticking to her minimalist approach – clean and simple and super organized, yet warm and welcoming. Have you seen The Faux House, their home that’s been featured for its design in both local and national publications? From food to home, she does it all so beautifully. Over the past week, I made two recipes from The Minimalist Kitchen book. First, I made these citrus-poppy seed cookies. Win #1. Then for some Friday fun, I took a pan of Melissa’s Ancho-ladas out of the oven for supper that evening. With a simple-to-make ancho chili sauce that is loaded with incredible flavor, these enchiladas will be gracing our table for years to come. Win #2. There are so many other great looking recipes that I am looking forward to trying in this book. 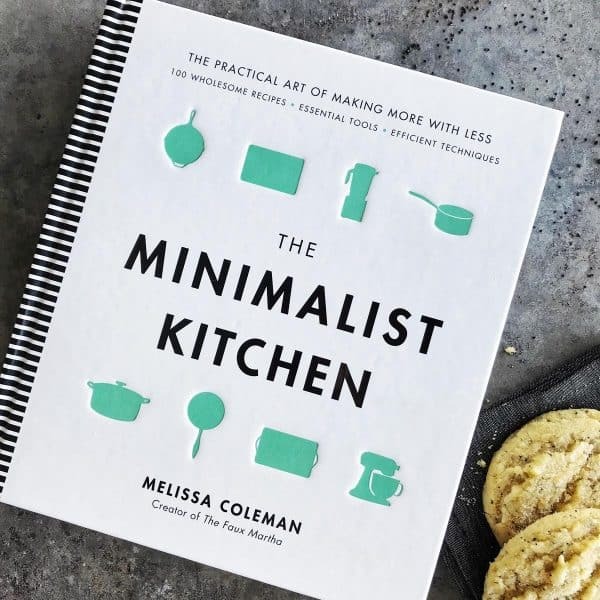 I highly recommend that you get your hands on The Minimalist Kitchen! 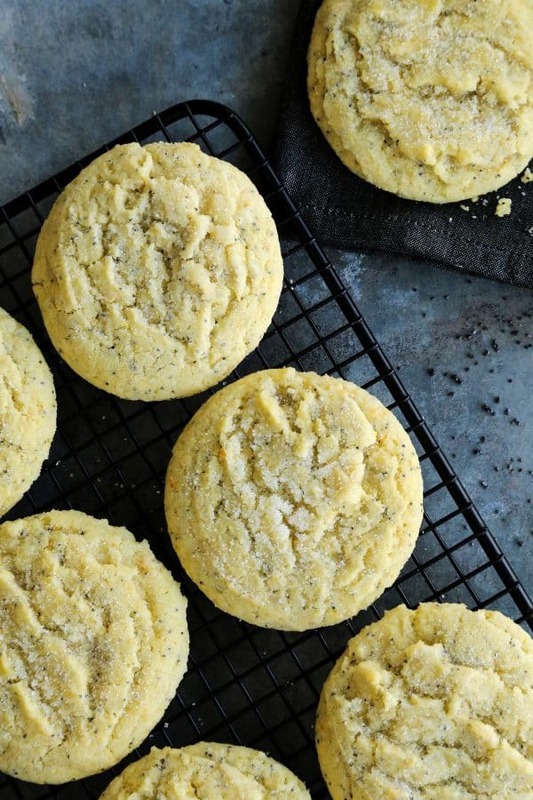 I absolutely love everything about these citrus-poppy seed cookies. EVERYTHING. But first let’s talk about size. This recipe makes just twelve cookies. 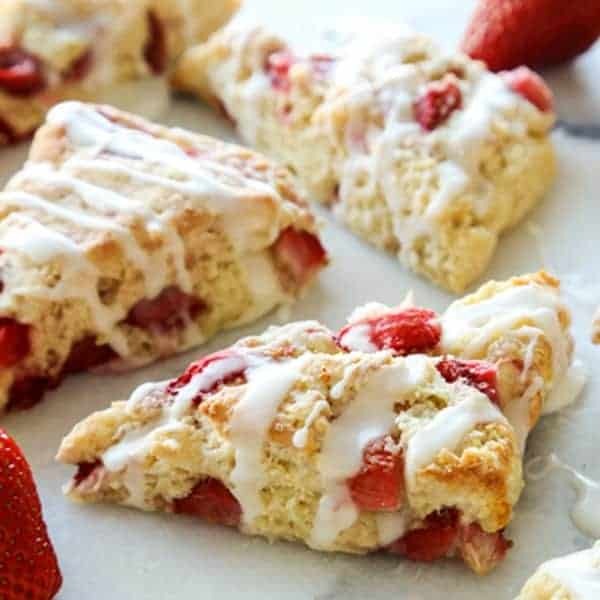 Twelve substantial-sized cookies that look and feel like they were pulled straight from a bakery case, with sugary-crusted tops and a bit of heft. The weightiness comes from the amount of cookie dough in each glorious scoopful. 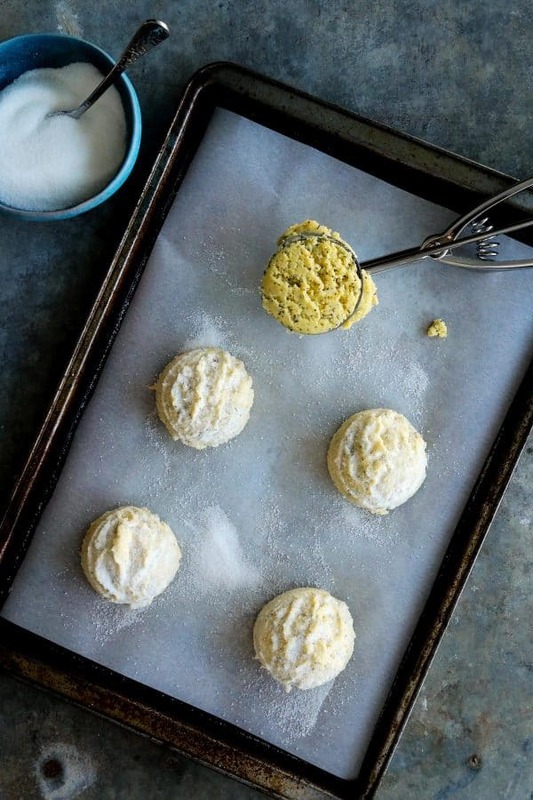 Melissa calls for a 4 tablespoon-sized scoop for this recipe, and it’s absolutely perfect and essential for obtaining the indulgent style of these beautiful cookies. Updated May 23, 2018: I wanted to bake these cookies for our high school’s baccalaureate ceremony, but wanted cookies that were smaller for this event. So I used my 2 tablespoon-sized scoop, basically cutting the cookie in half. I’ve updated the recipe to include this variable. This recipe uses a combination of butter and olive oil, of which I was curious to try. And I have to say, this makes for lovely, lovely flavor and texture. Add to that a bit of cornmeal and some poppy seeds mixed throughout, and…wow. The cookies have a generous rise to them, a strong half inch in height through their tender centers. I like to break each cookie in half before eating, just to see the inside! My family overwhelmingly approved these cookies, as did a couple of my girlfriends. I gifted a cookie to each of two friends when I saw them this past week, and recipe requests followed in quick succession after their first bites. 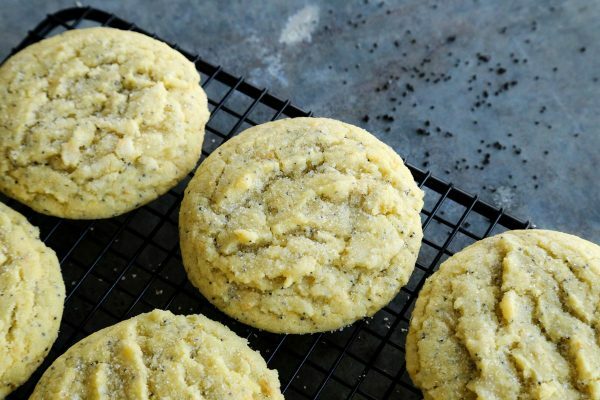 Like this poppy seed cookie recipe? Pin it! 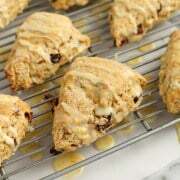 These bakery-style cookies are substantial in size, delightfully tender, and bright with lemon and orange. Corn meal and poppy seeds add wonderful flavor and texture. Preheat oven to 350° F. Line a large baking sheet with parchment paper or a Silpat and set aside. 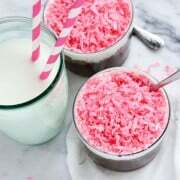 In a medium bowl, whisk together flour, corn meal, poppy seeds, baking soda, and salt. Set aside. In a stand mixer fit with the paddle attachment, cream together the butter, 1 cup of the sugar, lemon zest, and orange zest (I highly recommend this zester) on medium speed until well combined. Add the oil, egg, and lemon juice. 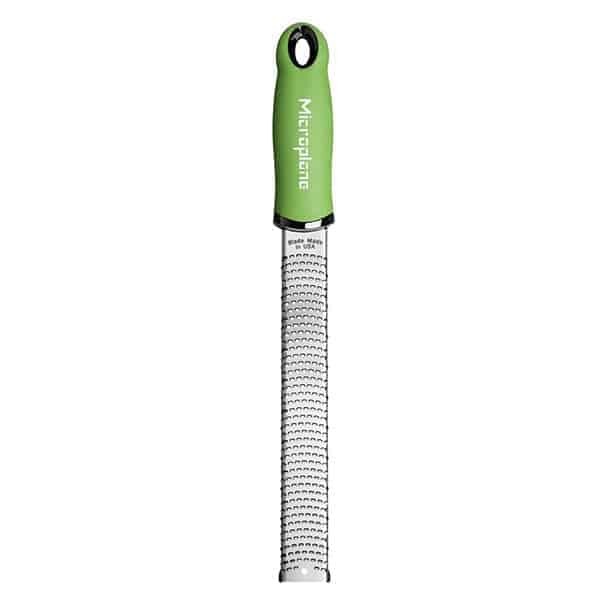 Continue mixing until pale and evenly combined, about 1 minute, scraping down the sides every so often. Add dry ingredients to the creamed butter mixture and mix on low speed until just combined. The dough will be somewhat dense, yet soft. Place remaining 1/2 cup of sugar in a small bowl and set aside. Using a 4 tablespoon-sized spring-release scoop (2-ounce scoop), scoop out portions of dough onto the prepared pan. 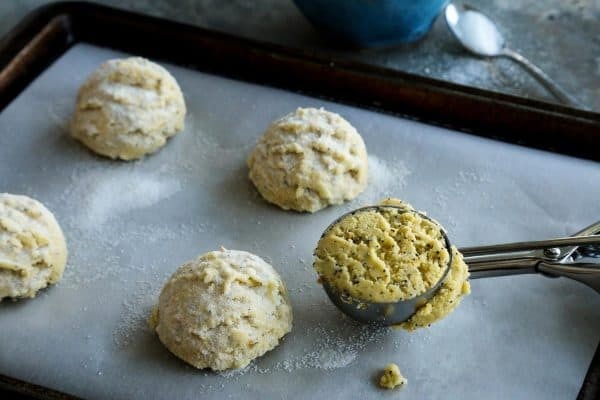 Use a spoon to sprinkle each mound of dough very liberally with sugar. 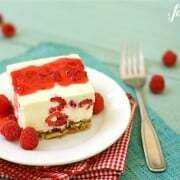 Bake for 12 to 13 minutes. The cookies will seem like they need a minute longer, but take them out anyways. Let cool on the pan for 1 minute before transferring to a cooling rack to cool completely, about 20 minutes. Store in an airtight container for up to 3 days. 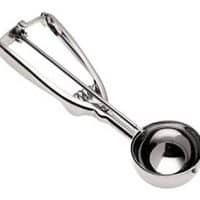 If you want cookies that are half the size, use a 2 tablespoon-sized spring-release scoop (1-ounce scoop) and bake for 9 to 10 minutes, following all the other instructions from the previous paragraphs. This will give you two dozen cookies. I received a copy of The Minimalist Kitchen for my use and review. All opinions are 100% my own. I took the cookies to a dinner at a friends house last night. It was such a success, they loved them. Didn’t matter what they look like as long as they tasted good. Requests for the recipe was made by the husbands. I am want everything citrus poppy seed please! Love the sound of these! Thanks, Taylor. They’re absolutely wonderful. Yay!! I can’t wait to get my hand on Melissa’s cookbook! These cookies sound amazing!! Yes, yes & YES! You’re so right about the pure goodness of this cookie, from the texture to the taste, & I had so much fun making them! These were a hit at my gathering last night, thank you so much for the recipe. 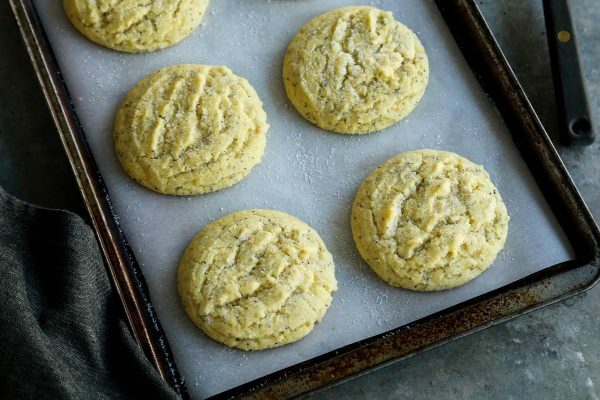 What perfectly citrusy cookies! 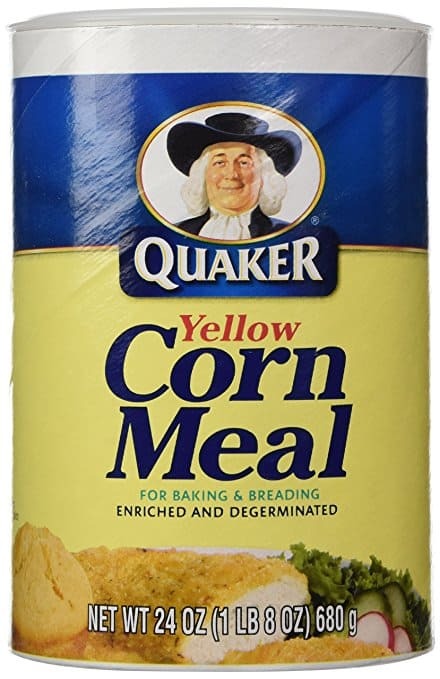 I love that there is cornmeal in the dough – the flavor and texture is such a smart choice. Clearly, I need Melissa’s cookbook – she is a sweetheart! Hello Liren! Yes, definitely get your hands on Melissa’s book, it’s wonderful. And make these cookies. LOVE.